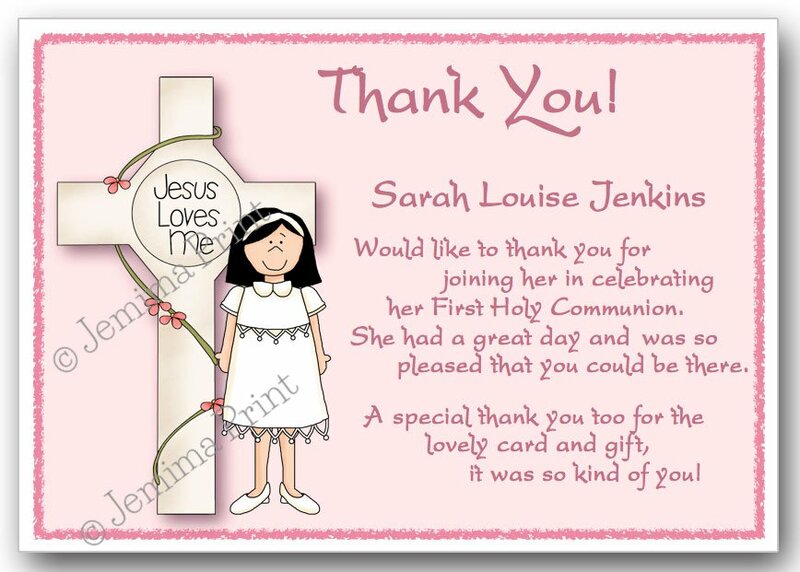 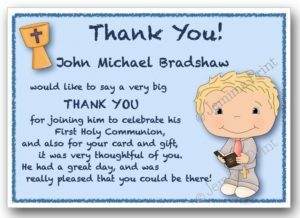 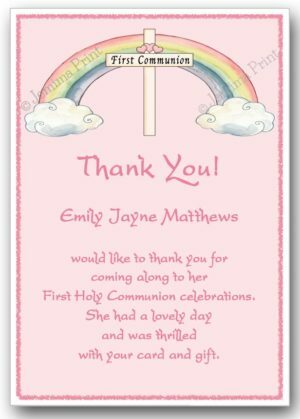 The standard wording on this design is ‘Thank You!…..(child’s name) Would like to thank you for joining her in celebrating her First Holy Communion. 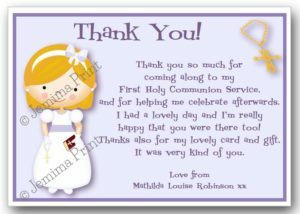 She had a great day and was so pleased that you could be there. A special thank you too for the lovely card and gift, it was so kind of you!